While Hamilton-based quintet Arkells have toured with the likes of Billy Talent and Augustines, the groups is still a bit of an insider’s tipp in Europe. Is their new record, Morning Report, going to change that? Morning Report, the band’s fourth full length, sees Arkells step out of their comfort zone early on with funky mid tempo openers Drake’s Dad and Private School. 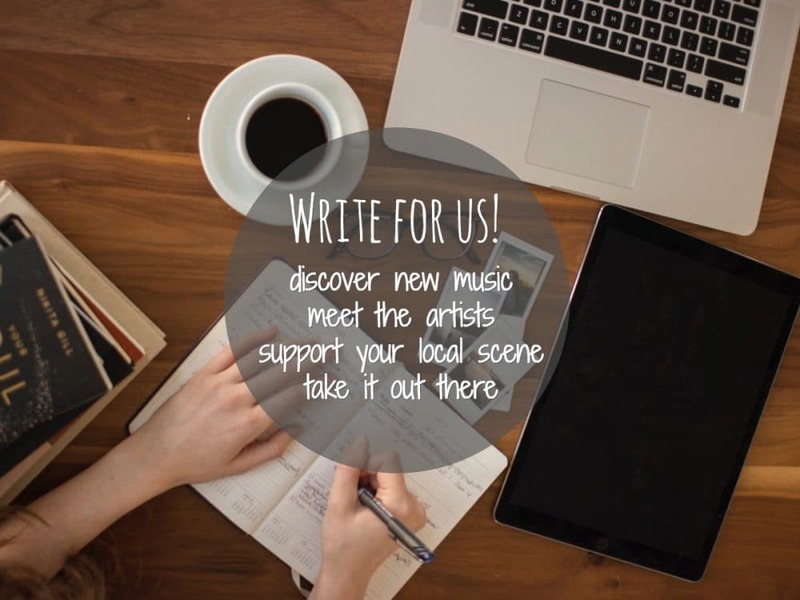 The former not only relies on piano, a common feature in Arkell’s music, but also on choirs and strings that makes it sound a bit like something Elton John wrote at the height of his musical career in the early 70s (which is a compliment, mind you). Private School, on the other hand, sees the group flirt with HipHop rhythms and frontman Max Kerman singing in a lower register. 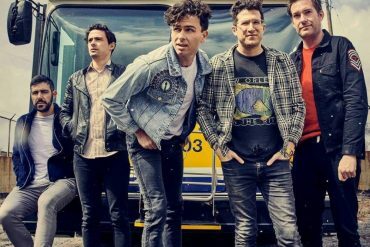 Both songs are a great and refreshing way to start the record but it’s not long before Arkells venture back into more familiar territory. At least since their second album, Michigan Left, Arkells have always been more of a pop band than a rock band. Kerman, the singer, guitarist, and chief songwriter, recently acknowledged that he doesn’t listen to a lot of rock music at all these days. It’s unsurprising then, that this is also echoed on the band’s fourth outing. 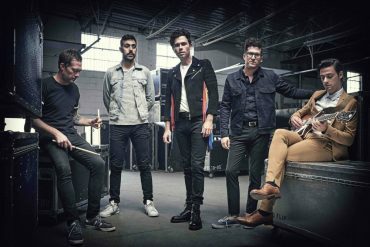 Standout out track and single A Little Rain (Song For Pete) features Arkells’ signature keyboard hooks and a chorus that is made of singalongs. Lyrically, the record is nothing to write home about. 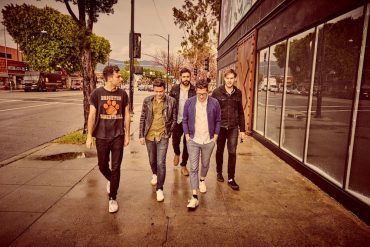 Arkells never were about the bigger picture but rather about the motions that every 20-something goes through every now and then. Hearts are won and lost a lot on Morning Report (Hung Up, Come Back Home, And Then Some). My Heart’s Always Yours is as clichéd and cheesy as it gets albeit catchy. The reduced Passenger Seat makes for a much better ballad and fully exhibits frontman Kerman’s vocal range. The summerly swagger that was so prominent on their last record, High Noon, can still be found here and there on Morning Report (Savannah, Making Due, Song For Pete, Hung Up) but somehow that defining moment is absent which is a bit of a shame since this is where Arkells are at their best. Morning Report shows that at album number four Arkells are still going strong. The Canadian quintet fully embrace their pop sensibilities once again but never quite reach the heights of their previous album. Morning Report is out in August 5th. Morning Report shows that at album number four Arkells are still going strong.